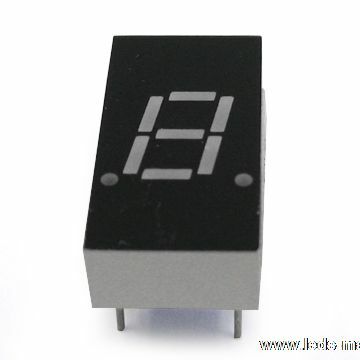 ﻿ Produce 0.30" Single Digit Numeric Displays , Export 0.30 Single Digit LED Display, Supply 0.30" Single Digit Numeric Displays suppliers, OEM 0.30 Single Digit LED Display. ◇ 0.30″ (inch) digit height. for viewing distances up to 7 meters. ◇ These displays provide excellent reliability in bright ambient light. ◇ These devices are made with white segments and gray surface. ◇ Digital read out display.